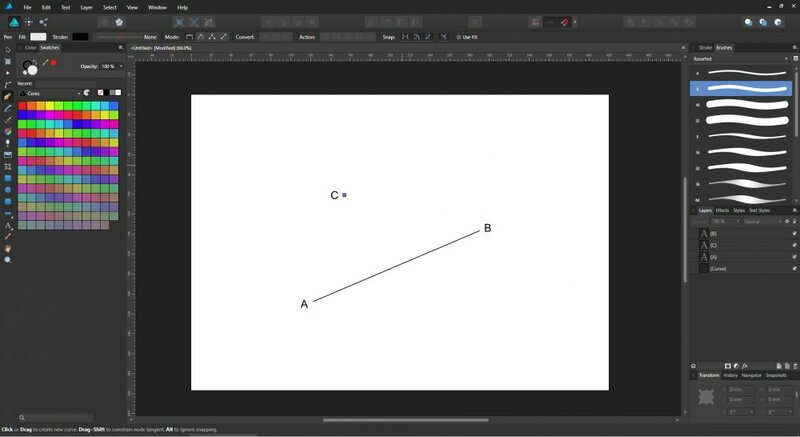 I'd like to suggest you to create a simple method to connect the C point perpendicular to the AB segment. If you need some inspiration Coreldraw has a pretty decent way to do that - direct and intuitive. BTW, measuring tools would be great too. Also apps like ArchiCAD have quite wonderful aids for automatic snapping and guiding.